A young woman starting her periods may have irregular, bleeding, absent periods or heavy periods, sometimes accompanied with lots of cramping pain –Some women get acne on their face and chest, sometimes their back. Headaches may be suffered and sometimes breast pain or tenderness can occur. 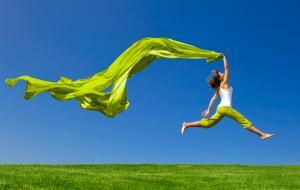 Pre Menstrual Syndrome is experienced by a lot of woman. Many find that a proportion of the month is wiped out because of this. Not being able to depend on feeling emotionally stable can create lots of problems both in working and personal life. Feeling tired, listless and snappy does not feel good for the sufferer or for other people around her. Each decade after puberty the monthly cycle may change. Women in their twenties to late forties can develop other problems such as endometriosis, fibroids and polycystic ovarian syndrome because of an imbalance of hormones. Sometimes they may affect fertility – see Fertility Issue page. Herbal remedies can be very helpful to re-balance the hormones and help a woman on a path of good health. Wouldn’t it be lovely to have no wasted days in the month and leave that emotional roller- coaster in the past. No Woman Should Be Suffering Like This So What Can Be Done To Help? During the menopausal time many changes can take place throughout a woman’s body. Women can also experience heavy and irregular periods. Thyroid disease or under/over active conditions. As well as the above symptoms women may also suffer in the peri-menopausal stage, with the following; loss of focus and concentration, lack of enthusiasm and motivation, less Joie de vivre and confidence, short temperedness, impaired decision making, lethargy, hyperpigmentation – mainly on the face. aching bones and muscles, libido diminishing, vaginal dryness and loss of bone density. Some women feel that their body is out of control with weight gain around the waist because of the imbalance of female hormones, unhealthy nails and dry skin. Some women can even find their hair is lifeless, thinning or receding. Low energy and stamina can give a woman lack of direction and therefore lack of empowerment. For over 30 years Leanna has been treating women with Natural Hormone Balancing Therapy. This approach simply means treating women with Herbs, Spagyrics and natural supplements that contain bio- chemicals in synchronization with the body to balance the hormones. Bio-identical hormone balancing creams can help some women also. Strengthening and healing digestion helps to balance the endocrine system so that the pituitary, thyroid, pancreas, adrenals and the ovaries are all harmonious with each other. Throughout the menopausal time the endocrine system can get out of kilter. The digestion can suffer, so absorption can be impaired, the bones can be depleted of minerals so bone density can suffer and immunity may not be at its optimum potential. Furthermore circulation is often affected - hormones need the circulation to travel around the body. Leanna will take a case history and get to the cause. In addition to balancing the endocrine system It is vital to cleanse the liver which will help cleanse the blood. A body that is not burdened with toxins has better energy, healing processes, emotional wellbeing and a healthier digestion and metabolism. A clean body will clean the rogue hormones out of the liver and allow the good hormones to do their work. The Natural Hormone Balancing remedy which is bespoke for each individual acts as a tonic so instead of stimulating it will act as a normalizing agent and serve to balance the body as a whole. In response to the Woman’s symptoms it will be a tailored remedy aiming to help balance Oestrogen, Progesterone and other hormones. This will be dispensed for the patient to get back to her more usual self. It helps to view the menopause as a natural and positive transition instead of an illness, after all its just the opposite to menarche of youth. A transition to another phase in a woman's life. should you choose to do so. Skin care advice if needed, facial exercises and advice on facial massage for skin improvement and how to get the waistline back. All this will be integrated into a lifestyle that is not too all consuming. The overall effect can be empowering for a woman to live her life to the full. There is no need for a woman to be on Herbs for the rest of her life for Natural Healing of the Menopause. Once the treatment has helped to normalize the Menopausal symptoms, she can emerge centered and feel confident again to live the happy life she deserves. Though many women come long term to keep in balance, remaining seemingly ageless and to talk to a trusted practitioner. Its a matter of choice. Leanna Broom, Consultant Medical Herbalist has treated many women with great success. Many women say they feel it is a positive life changing experience to journey through the menopause, with the help of Herbal remedies and feel more calm and empowered than they have ever felt in their life. Website by Swansea Web Design CompanyCopper Bay Creative. This website contains valid XHTML 1.0 & CSS code & meets WAI-A regulations. Read the Copper Bay Creative Accessibility Statement.